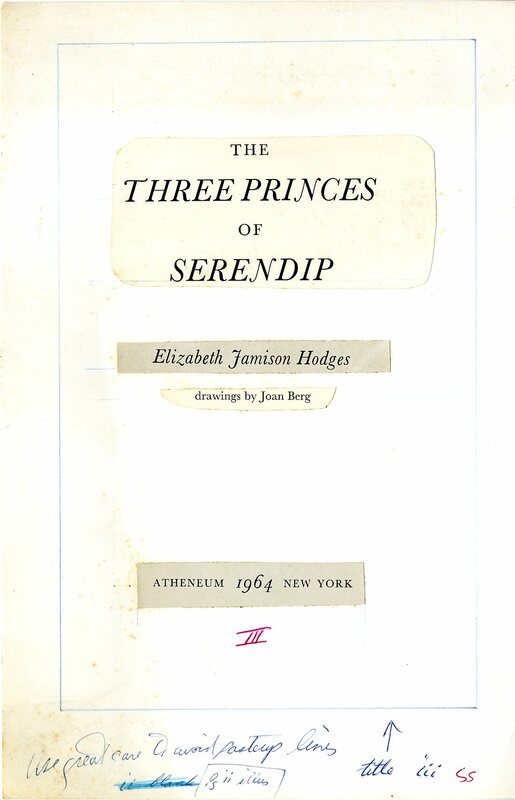 A draft of a title page of Hodges’ book, The Three Princes of Serendip, which can be found in the Elizabeth Jamison Hodges Papers in the Cambridge Room. We are pleased to announce that the Elizabeth Jamison Hodges Papers, 1908-1999 are now available for research. Elizabeth Jamison Hodges was born in Atlanta, Ga. in 1908 to William Lemmon Hodges and Elizabeth Jamison Hodges (1884-1980), the oldest of three children. Schooled in the Boston and New York areas, she graduated from Radcliffe College (A.B. 1931) and Simmons College (B.S. 1937). 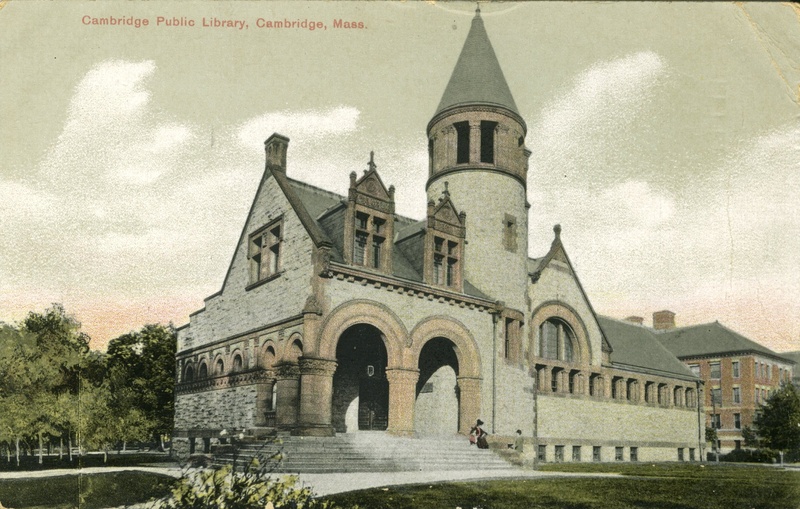 She was a librarian at the Boston Public Library (1937-1941), the Detroit Public Library (1941-1943), and at public libraries in Arlington, Watertown, Leominster, and Belmont, Mass. After World War II, following in her father’s footsteps (who was a major in the army), she was the Command Librarian for the Third Army in Germany, establishing libraries for American occupation troops. In the 1960s she travelled to Ceylon (now known as Sri Lanka) to collect material for two of her children’s books: The Three Princes of Serendip (New York 1964, illustrated by Joan Berg) and Serendipity Tales (New York, 1966, illustrated by June Atkin Corwin). She published two other children’s books: A Song for Gilgamesh (New York, 1971, illustrated by David Omar White), and Free as a Frog (New York, 1971, illustrated by Paul Giovanopoulos). She was also a New York Times Children’s book reviewer. She taught creative writing at the Harvard Institute for Learning in Retirement for 20 years. She died on October 21, 1999 in New London, NH.